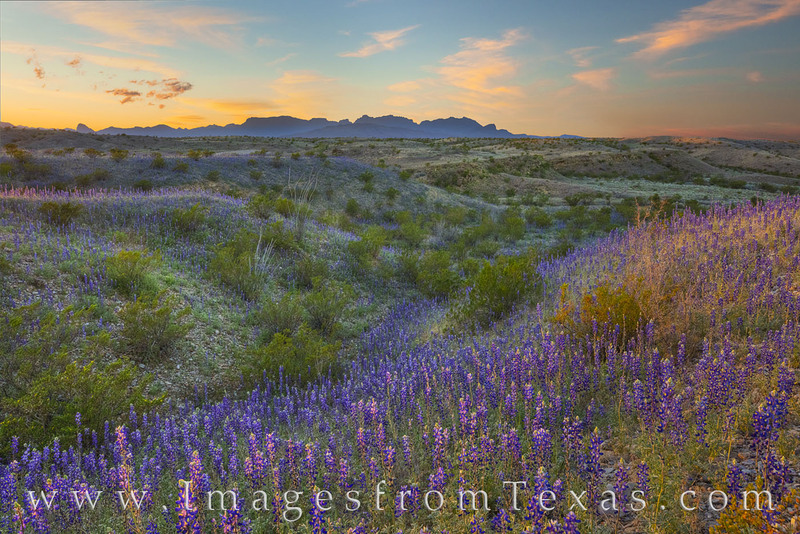 Waves of bluebonnets fill the washes along East River Road in Big Bend National Park. In the distance the Chisos Mountains rise into the spring time evening. With the sun setting, the last soft light of evening plays across this remote and often barren landscape of the Chihuahuan Desert. However, in wet winters and springs, colorful wildflowers of all shapes and sizes spring to life. Photo © copyright by Rob Greebon.